A NEW STUDY published in Clinical Infectious Diseases that drilled down into fluoroquinolone prescribing in Michigan hospitals in 2015-17 delivers some very mixed news. 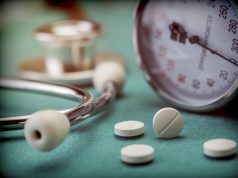 The good news is that, according to researchers, hospitals with stewardship programs designed to curb fluoroquinolone prescribing are tamping down inpatient orders for those broad-spectrum antibiotics. In those hospitals, fewer patients with either pneumonia or a positive urine culture received a fluoroquinolone, compared to hospitals without such targeted stewardship (37.1%vs.48.2%). But here’s the bad news: Two-thirds (66%) of all fluoroquinolone treatment days occurred after discharge. And paradoxically, physicians in hospitals with targeted stewardship efforts wrote twice as many new fluoroquinolone scripts at discharge than doctors in hospitals without those programs, 15.6% vs. 8.4%. Instead, it’s hospitalists who make those diagnoses, order the labs, and figure out which antibiotics to prescribe and send patients home on. 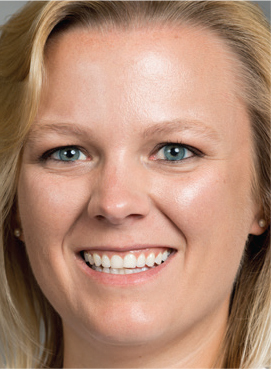 Dr. Vaughn spoke to Today’s Hospitalist. Most hospitals in the study had some antibiotic stewardship program, but only 29% had efforts specifically targeting fluoroquinolones. Were you surprised by that low figure? That figure is from when we initially looked at the hospitals, and many have since added programs to reduce fluoroquinolone prescribing. 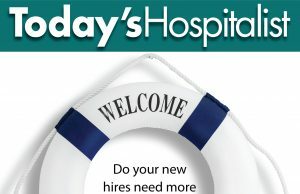 The hospitals we found in the research may have been early adopters. We were looking for hospitals to have one of two specific stewardship interventions for fluoroquinolones: either pre-prescription approval or post-prescription review and feedback. Both involve pharmacists and require a lot of manpower, so it’s often small hospitals that can pull those off. In a 70-bed hospital, your pharmacy can review all antibiotic orders pretty easily, but that’s a lot harder in a 700-bed hospital. Hospitals have a host of stewardship interventions other than the two we tracked, but the others are probably less effective. Just providing education to clinicians, for instance, which is what a lot of stewardship programs do, may be a great first step—but it isn’t the strongest step. Why would doctors who have restricted fluoroquinolone prescribing for inpatients not apply those same restrictions to discharge orders? One factor is a lack of education, even though I just said it’s the least effective intervention. When you talk to doctors—and I talk to them a lot about antibiotics—they don’t generally know that even a few days of fluoroquinolones increase patients’ risk of C. diff. 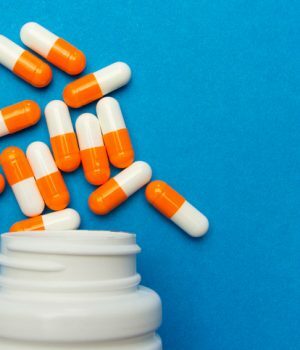 There’s also “stealth dosing,” a term coined in a 2007 study that looked at stewardship programs requiring prior approval on antibiotic orders up to 10 p.m. 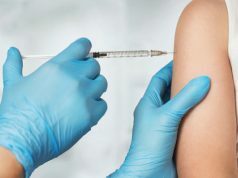 The research found that orders for antibiotics needing approval shot up after 10 p.m., when approval was no longer required—a hint that doctors were circumventing those restrictions. It was unclear whether physicians didn’t want to do the extra work of getting approval or if they didn’t actually agree with the restrictions. Many doctors like fluoroquinolones and are comfortable prescribing them. But I think the biggest problem is that we don’t have guidelines in place to help doctors with discharge prescribing. Many infectious disease and stewardship guidelines have great recommendations for what to do with very sick patients in the ED and ICU, but then trail off on the back end. They provide less guidance on when to stop antibiotics or transition to something more narrow, and they don’t cover discharge prescribing. Both national and local guidelines need to start reflecting those step-down and discharge periods. According to your study, most quality improvement projects and research don’t target discharge prescribing either. That’s probably the biggest change I’d like to make, and we should at least start measuring discharge prescribing as the first step toward improving it. Right now, the National Healthcare Safety Network (NHSN), the CDC’s health care-associated infection tracking system, has started monitoring inpatient antibiotic use at many hospitals. That monitoring may actually become a mandated metric within the next few years. But that metric wouldn’t include discharge prescribing, so hospitals wouldn’t have that incentive to monitor discharge antibiotics. Part of the problem is that not every hospital’s electronic system is interlinked with discharge orders. That’s particularly a problem with hospitals that rely on phoned-in or even written discharge prescriptions to outside pharmacies. The VA does a better job with this because its inpatient and discharge records are integrated—and because VA hospitals fill the majority of their own discharge orders. Stewardship programs in VA hospitals can actually monitor discharge prescribing, but this is a blind spot for most other hospitals. Some hospitals are involving pharmacists at discharge, having them review discharge prescriptions before patients walk out the door. You can also automate electronic orders to calculate the number of days patients have been on a prescription so you’ll have a better idea of how many days after discharge they’d need to continue them. At the University of Michigan, I’ve received a grant to implement an antibiotic time-out checklist at discharge and facilitate a discussion between a pharmacist and the discharging hospitalist. The first question the pharmacist asks is, “How sure are you that this patient still has an infection that needs to be treated with an antibiotic?” Depending on that answer, they then discuss duration and antibiotic selection. It’s a very quick intervention—and I think hospitalists are willing to do something important as long as it’s quick. 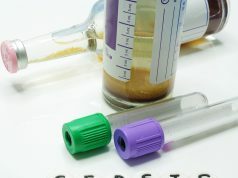 The time-out can also really affect another concern we found in our study: nearly one-third of the patients being treated for a urinary tract infection had asymptomatic bacteriuria. Those patients shouldn’t be treated with antibiotics at all, let alone with fluoroquinolones, but many of them were. Another solution is to “nudge” physicians electronically away from fluoroquinolones, rather than relying on mandates and restrictions. Based on culture results—assuming you can grow culture, which you can’t with many pneumonias—an order set might list three antibiotics the culture is sensitive to, but then bold the one that’s preferred or hide non-preferred ones. Providers are then more likely to order preferred antibiotics.